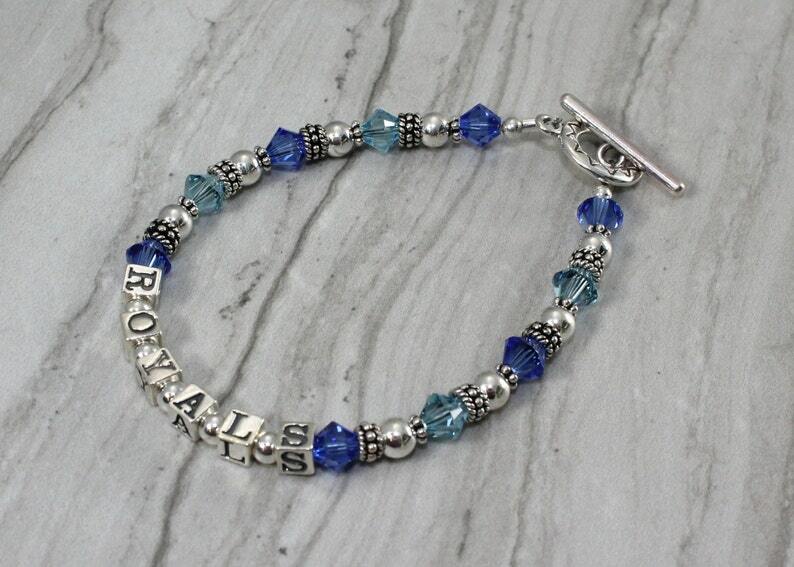 This bracelet is the perfect way to display your love for the Kansas City Royals. Add this to your game day collection and cheer on the Royals. This bracelet is made of sterling silver and swarovski crystals. Free matching sterling silver with royal blue crystal earrings with your order!